Children use play to balance their emotions. When they engage in unwanted behavior, children are expressing their frustration, and lack of knowledge, about how to work through a situation. 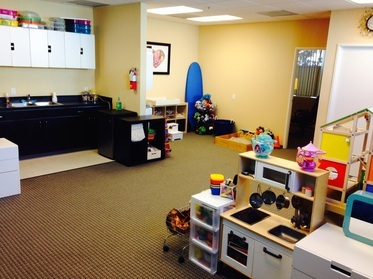 Through collaborative play with Kristie, your child can explore and learn emotional balance and stability. 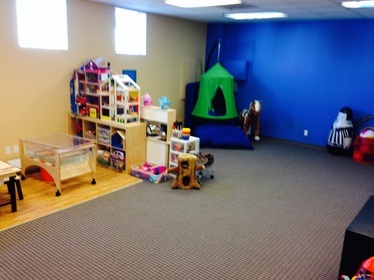 In our engaging, therapeutic playroom, Kristie offers toys, water and sandplay to help your child grow. Unlike adult “talk therapy,” children use their natural language of play to regulate their feelings and behavior. Through play therapy, your child can become more confident, happier and better behaved. You will be giving your son or daughter a life-long foundation for healthier relationships and life success. Kristie also offers Child Parent Relational Therapy to teach parents to do therapeutic work with their children. If you are interested, click Child Parent Relational Therapy.